NEW YORK -- Comedian Shelley Berman, who won gold records and appeared on top television shows in the 1950s and 1960s delivering wry monologues about the annoyances of everyday life, has died. He was 92. Berman died Friday at his home in Bell Canyon, California, from complications from Alzheimer's disease, according to spokesman Glenn Schwartz. Berman was a pioneer of a new brand of comedy that could evoke laughter from such matters as air travel discomforts and small children who answer the telephone. He helped pave the way for Bob Newhart, Woody Allen, Jerry Seinfeld and other standup comedians who fashioned their routines around the follies and frustrations of modern living. Sheldon Leonard Berman was born in Chicago and attended public schools. After training as an actor, he joined an improvisational company in Chicago, Compass Players, the beginning of the famed Second City. Watching his fellow performers, Mike Nichols and Elaine May, Berman said in 2000, "I learned more in two weeks than I did in four years at Goodman." Tributes came in Friday from Steve Martin, who tweeted that Berman "changed modern stand-up," and Richard Lewis, who said there was "no better wordsmith." Late in his career, he played Nat David, father of Larry David, on HBO's "Curb Your Enthusiasm." With dialogue improvised by its cast, the comedy series gave Berman the opportunity to return to his improv roots and introduced him to a new generation of TV viewers. "I'm not a standup comedian," Berman often insisted. "I work on a stool." Comedy was not a childhood ambition for him. He trained as an actor, with the Goodman School of Drama in his native Chicago and with the prestigious actress-teacher Uta Hagen in New York. "I had dreams of being an actor," he said in a 1960 interview. "For 10 years I tried, picking up small jobs in summer stock and TV. I had a hard time of it." As a last resort, he put together a 20-minute routine and auditioned at the Chicago nightclub Mister Kelly's. He was given a job, and then he had to scramble to write more material for a half-hour show. "I was always one of those life-of-the-party boys," he admitted, "though I never stooped to wearing women's hats or lampshades. I was always making people laugh, in school and later in life." Berman's success in Chicago led to a booking in Las Vegas. He bombed. The gamblers didn't laugh nor did they talk. Accustomed to slam-bang comics out of vaudeville and burlesque, they listened in amazement to the guy sitting on a stool and using big words with a routine that often consisted of one side of a make-believe phone call. He continued on the saloon circuit, honing his craft and deciding on which direction to go. He didn't fit any category. He wasn't a joke teller nor a "sick" comedian. He figured he was a "humanist humorist." Berman made the first of many appearances on "The Ed Sullivan Show" in 1959. That year he issued his first album, "Inside Shelley Berman." It won a gold record and received the first-ever Grammy Award for the spoken word. Two more albums achieved gold status. Along with his busy schedule in nightclubs and auditoriums, he fulfilled his first ambition to be an actor. 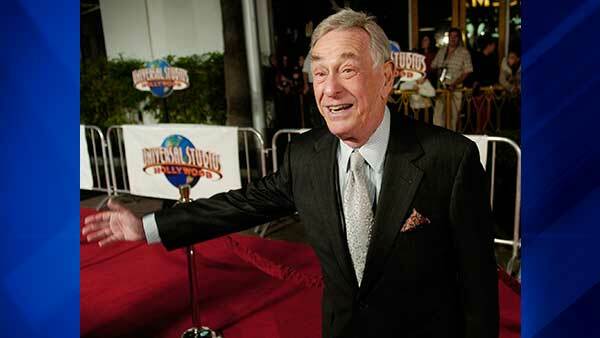 He appeared in a Broadway play, "The Boys Against the Girls," in 1959 and a musical, "A Family Affair," in 1962. His film debut came in 1964 with the adaptation of Gore Vidal's hit political stage drama "The Best Man," starring Henry Fonda and Cliff Robertson. "Not only an accomplished comedian, actor, and author, Shelley was among the new breed of comedians who made a significant impact through recordings," said The Recording Academy in a statement. "Shelley will be deeply missed, but the influence he exerted on our creative community will remain forever." Berman's comedy career stalled in 1963. He was performing his act before an audience for a documentary-style NBC show, "Comedian Backstage," when a telephone ringing interrupted him; it was the second night it happened. He stormed backstage and ranted at everyone in sight. His outburst, edited to make him appear temperamental, was included in the telecast. "Once you're known as being difficult, it becomes too hard to deal with management and even fellow artists," he remarked in 1986. The bookings fell off, and Berman returned to acting, with little luck. He and his wife, Sarah, were forced to file for bankruptcy, and he began a long struggle to pay off his taxes and creditors. He found work in television series such as "The Twilight Zone," ''Rawhide" and "Peter Gunn" and occasional movies including "Divorce American Style." He became active in regional theater and also worked his old routines before college and lecture audiences. For more than 20 years he taught comedy at the University of Southern California. In recent years, he landed guest roles on series including "The King of Queens," ''Boston Legal" and "CSI: NY," and appeared in the film "Meet the Fockers." He retired from performing in 2014 after being diagnosed with Alzheimer's disease. He married in 1947, and he credited Sarah with helping him to survive through his jobless period while trying to be a comedian, the bankruptcy, the rebuilding of his career and the loss of their son, Joshua. They also had a daughter, Rachel, who, along with his wife, survives him. Berman said of his marriage: "The love we have and the way it has grown, that's what I'd like to be remembered for."